Hello ... Hello ... my old friends ... It's great to see you once again! 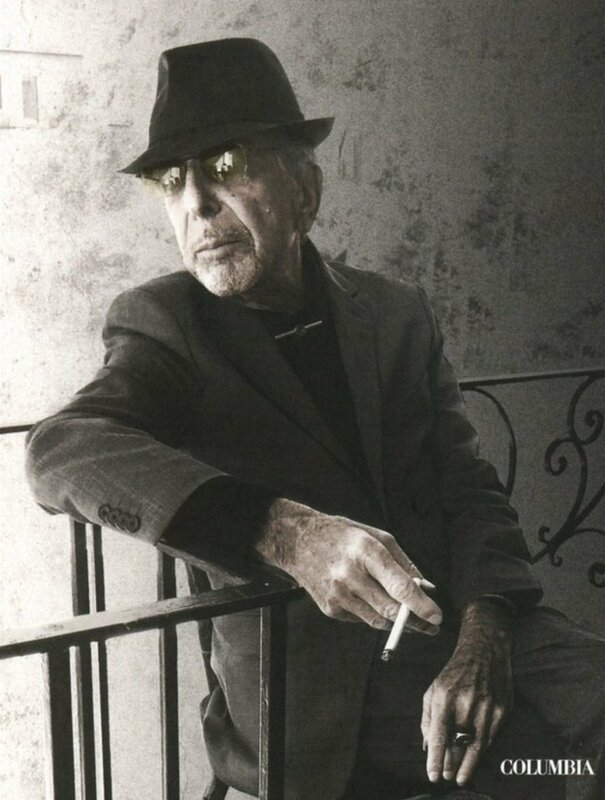 2016 has been remarkable in many ways, not least in the number of musical greats who have left us - including David Bowie, Prince and now Leonard Cohen - who passed away on Monday 7th November. On the face of it, there would appear to be very little to connect the poetic and lyrical genius of a man sometimes, if not unfairly, nicknamed called "The Poet Laureate of Misery" aside from the fact that he was latterly a Columbia Records label mate with Jeff Lynne's ELO. But studious ELO fans of old know that the name of Leonard Cohen is firmly entrenched in ELO folklore thanks to the lyrics of a certain Jeff Lynne penned song nestled between "Nobody's Child" and the title track within ELO's classic 1974 symphonic masterpiece "Eldorado" due to the fact that the immortal words "Tunes that sounded like The Rolling Stones and Leonard Cohen" make up the the fourth line of "Illusions In G Major" (also the 'B' side for the "Can't Get It Out Of My Head" single; Warner Bros. #K16510). We mourn the passing of another musical legend but at least fans of ELO will always be reminded of Leonard Cohen (and his musical/poetic legacy) just after "Nobody's Child" abruptly ends.